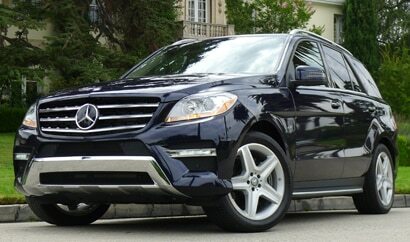 In short: A smart, stylish and versatile all-wheel-drive SUV. This V8-powered luxury SUV may look pretty; however, behind its stylish sheet metal and high-tech accoutrements is a high-performance, off-road-ready automobile. 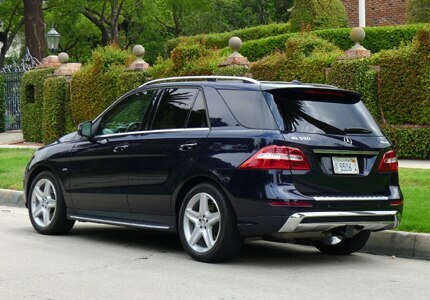 Boasting 402 horsepower and 443 lb-ft of torque, the Mercedes-Benz ML550 shoots from 0-60 in 5.3 seconds — faster than many cars half its weight. The 4MATIC permanent all-wheel drive and a 4-wheel electronic traction system allow the ML550 to traverse the rough stuff with ease, while Mercedes' Agility Control suspension system provides an ideal blend of refinement and responsiveness. No matter how far off the beaten path you may roam, though, finding your way back home is easy with the COMAND infotainment system with 80GB hard-drive navigation. Set the soundtrack to your adventures with Bluetooth audio streaming and the specially-engineered harman/kardon LOGIC7 surround-sound system.